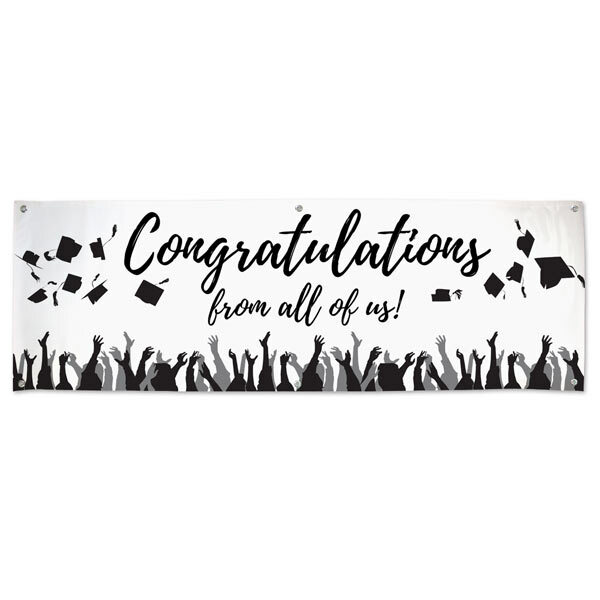 White grommet vinyl banner with ‘Congratulations from all of Us’ written large across the center. Banner features arms throwing graduation caps into the air. This banner is ideal for adding signatures.